We have free parking on site and on the streets adjoining and opposite the restaurant. Parking on the single yellow lines on Barlow Moore Road is permitted 10 am - 4 pm & after 7 pm Monday - Friday and all day on Saturday-Sunday. If you are parking on a residential street we would ask you to do so with the consideration of the residents in mind. We serve breakfast every Saturday and Sunday morning, from 10 am to 12 pm and on the Spring/Summer Bank Holidays too. 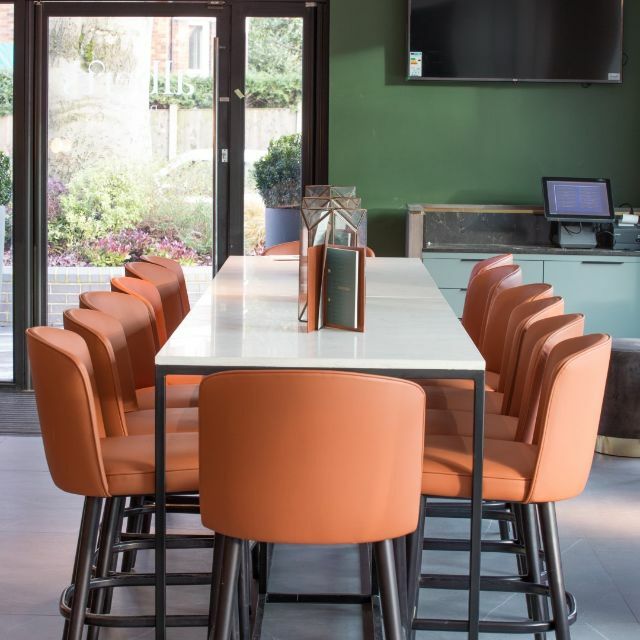 The Castlefield Rooms offer a boutique, out of the ordinary, venue in central Manchester, in a stunning position within a conservation area on the banks of the Bridgewater Canal. With a superb location in Manchester City Centre, near all major transport links, complimentary on site parking and the highest levels of service and cuisine, the Castlefield Rooms are the perfect venue to hold your wedding, corporate event or party. 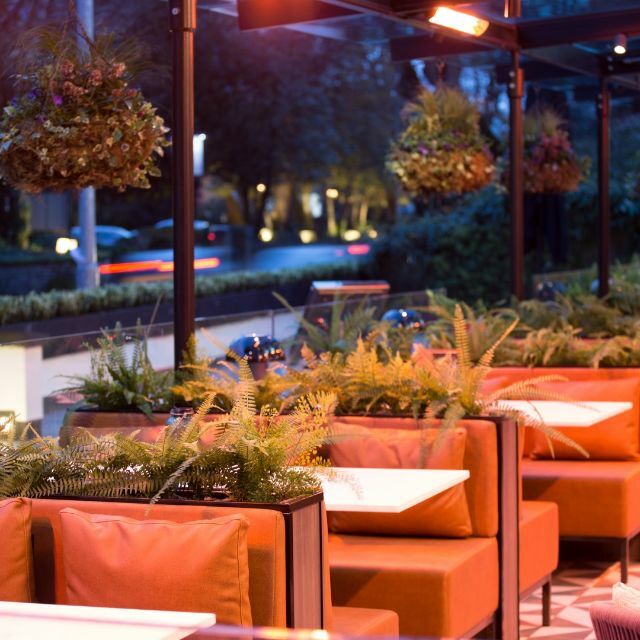 We offer a choice of three contrasting spaces for anything from 25 to 250 guests together with a range of competitively priced event packages. 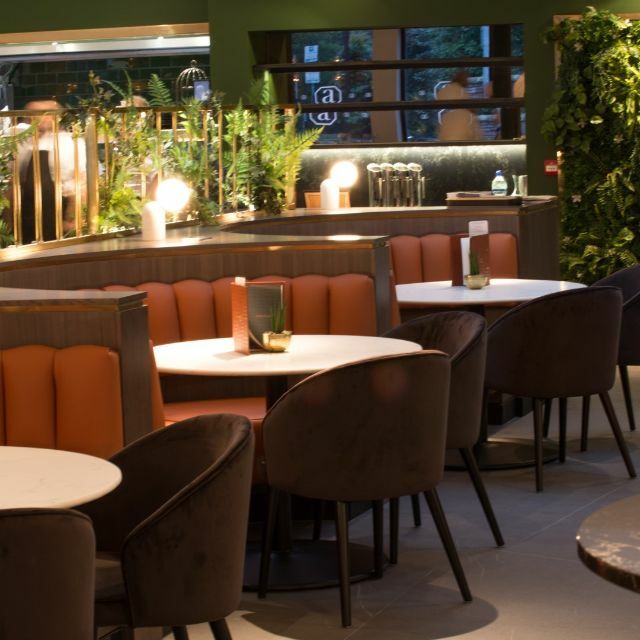 The versatility of the spaces is also reflected in the variety of menus available from the acclaimed kitchens of Albert’s Shed Restaurant and Dukes 92 which are located on the same site as The Castlefield Rooms. Whichever space you decide on you will have our dedicated Events Team on hand to ensure the smooth and efficient running of your event. 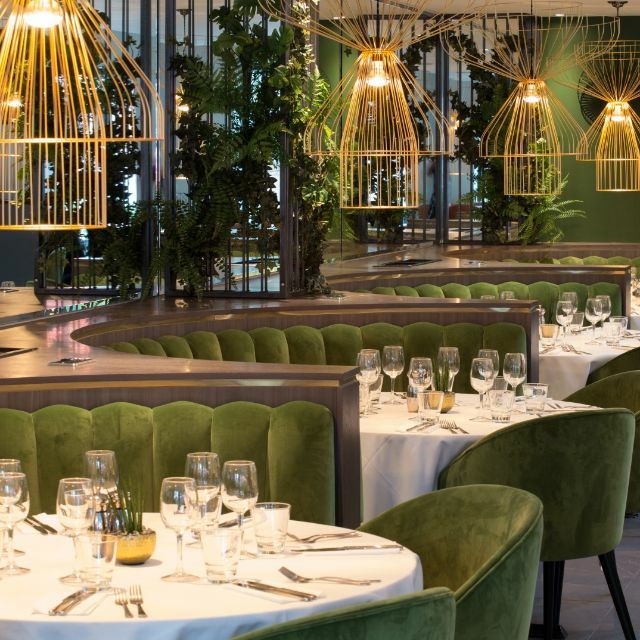 Albert’s Restaurant and Bar is the second Albert’s opening and is a sister restaurant to Albert’s Shed in Castlefield. 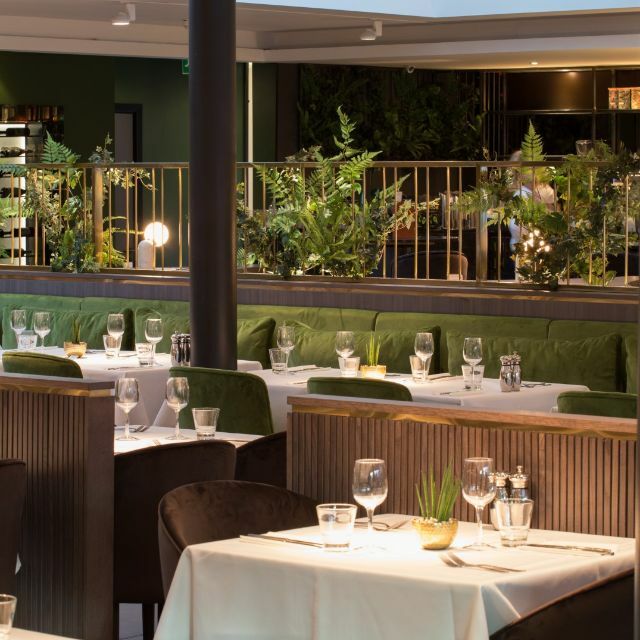 A slick, modern space with dining for 160 guests inside and a fabulous covered & heated outside dining terrace for 60 – perfect for alfresco dining. 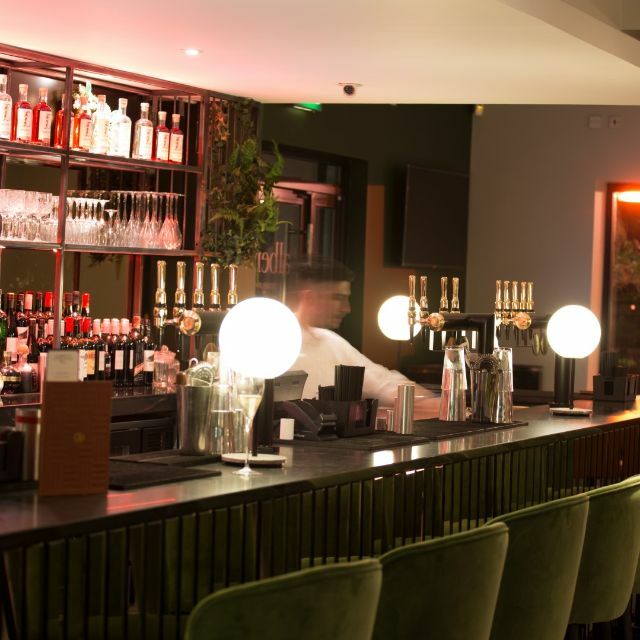 The menu is modern British with an eclectic mix of Albert’s favourites and dishes from around the globe, all using only fresh local ingredients. The restaurant is open 7 days a week for lunch and dinner. 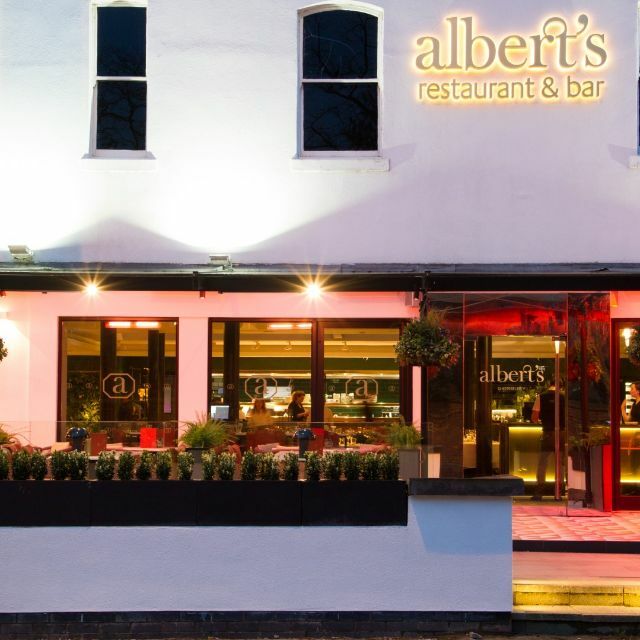 Alberts is looking extra good since the recent refurbishment! Enjoyed the lunch time menu (starter & main course) with a friend and shared an amazing pudding off the main menu. Managed to get an outside table - can’t be pre booked - requested on arrival and enjoyed a glass of wine in the bar while waiting for one to become available. Service is as good as ever, as is the quality and cost of the lunch time menu. The new renovation brings it up to speed with the other restaurants in the area. Our table service was terribly unorganised, when we finally got out food was cold and fatty and chewy. Over priced for the dining experienced! This was our first visit since the refurb. The restaurant looks great! We had the three course set menu which has increased in price. We didn’t like the vegetables being served separately as we only had 2 bowls to share between 7 people so by the time you’d put them on your plate the food had started to get cold. Also there was no explanation about the quantity of vegetables so we waited thinking that more were on the way. We asked for extra ice cream which didn’t arrive on 2 desserts but extra was added to one person’s dessert that hadn’t requested it. We were initially told that another party had overstayed so we were seated somewhere else. Unfortunately we had to complain as we were too squashed. An extra table was added thus making it more comfortable. Two staff did initially say there would be a one hour wait for another table until we pointed out that we’d already been told that ‘our table’ was still being occupied by the ‘over-stayers’. With this a table was pulled over and added to make a little more space. It was however way too warm possibly as we were so close to the kitchen. All in all still enjoyable and we will return but I really hope that the vegetables can be put on the plate in the kitchen. Previously there was a better selection of vegetables including cauliflower cheese so would be great if this could be brought back. Loved the refurb. Beautiful. Only downside was air con too cold and therefore food went cold quickly. Our first meal at Alberts since it was updated, family celebration, got booth as requested on booking a few weeks ago. Service was excellent, food was creative and delicious apart from the Duck pizza ( it was remade after we brought it to the servers attention, to be fair it looked a bit under cooked and was very soon replaced) we had a lovely evening and felt it was good value.lovely atmosphere and friendly helpful staff , we will certainly be back . The food was delicious and value for money. The only complaint I have is that they had run out of Panna cotta desserts by 9.15pm!! 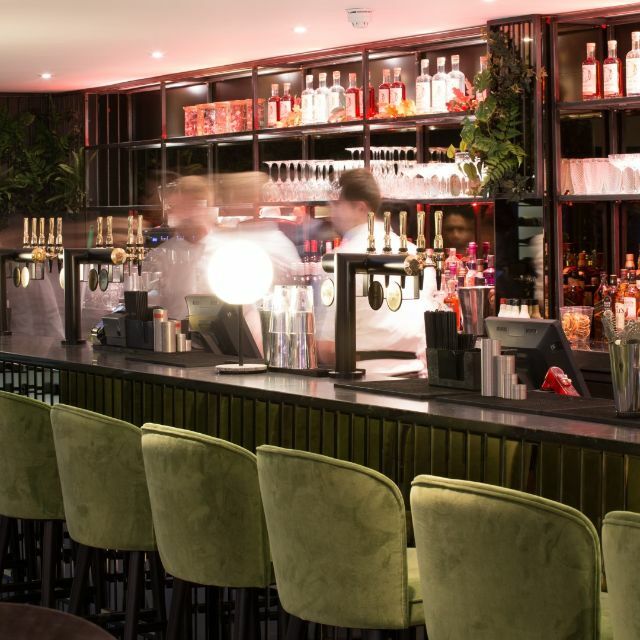 We have eaten here a few time and really enjoyed the food but the service has always bin very slow but unfortunately thistime the food took a very long time to come out and some was cold no one came over to explain or let us know what was going on. Very good experience. FOH lady was very friendly and efficient. We arrived after peak time, and the tables were very close together, but as the restaurant had quietened down, she moved two tables together to give us more room. Service staff were excellent, and we ordered from the lunch menu but had desserts too. Fab value for money, lovely food and a great atmosphere. The decor was gorgeous. My only criticism would be that at busy times the tables were too close together, and it felt that you were eavesdropping on the next table’s conversation. Would recommend this restaurant. New decor very nice and comfortable. Food lovely and service excellent. Very good menu. A pleasant meal with different choices. Not too much but great food and a super place for lunch. I found it took a while before we could order our food and we had to get the attention of the waitress. The food quality has changed slightly , I’m been going to Albert’s for a long time and could tell. Also the waitress looking after our group tipped my daughters meal all over her. My daughter was really upset, we clean the mess up as much as we could with our napkins and I had to ask for more. The food was everywhere. When we got the bill her meal was still on there the least I thought they could do was remove the cost of it. They did offer to pay her dry cleaning bill. I would go back but hope the service is better next time. Excellent choice of food, excellent quality. Serves by staff who are both efficient and friendly. All at a very reasonable price. We have been to this restaurant a good number of times. This was our best visit ever. The make over is very successful. Two minor criticisms: the music was a tad loud and a little more ice cream with the sticky toffee pudding would be great. Excellent food as always! Not a great deal of choice on the lunch menu but you can't complain at £12.50 for 2 courses! There's always something for everyone. Really enjoyed the new decor. Food and service very good . Great to get back to Albert’s following the refurbishments. Looked really sleek with new branding etc. Menu was fantastic and the food tasted great. Will be back soon! We booked for quarter past four but didn’t get seated until nearly quarter to five. Our starters arrived after the mains of people who had sat down a significant amount of time after us. We waited half an hour for drinks. We both ordered the roast beef but our plates were different as we were both missing things and no explanation was given as to why. The service was a bit shocking, left me waiting for ages for my drink and to get served. We have always enjoyed our visits. However this time we were disappointed with the behaviour of other guests on tables near us. There were four girls on a table just next to ours ( only a low partition separating our table from theirs) who were very loud and not inhibited in swearing without regard to other diners. Not pleasant and will make me think twice before dining at Albert's again. Hope policy not to cram in as many people as possible and with no regard to a reasonable type of diner. Food was ace. Atmosphere was great. Only complaint is that our starters and main course came out at the same time. Five star otherwise. We picked a very busy time and service was not good! Table jammed in between several others! Will return but not yet and definitely at a quieter time!! Excellent service, restaurant was really busy, one of our diners found the rabbit too tough and was changed for the sea bass without a quibble. My main course was from the vegan menu, Black bean Falafel, it was delicious. Great atmosphere- had to wait a bit for food- but it was great when it arrived. Service was really good- nicely attentive- Orion served us and was really helpful. Love the new menu- lots of great and interesting choices- will be back soon ...! Overall atmosphere good- lively buzz and overall really enjoyed our family visit . We had a wonderful family get together at Alberts last Saturday. Great food and service. Just as good. Nice refurbishment. Friendly, helpful staff. Food was ok but nothing special. I ordered the rabbit gnocchi to start and it was very salty. Ordered lamb for my main cooked medium and it was really dry when served like it had been under a heat lamp for ten mins. Glad I ordered a sauce with it or the whole main would have been a bit boring. My husband ordered the seafood plate for his starter and sea bass for his main. Both were nice. We ordered a bottle of white wine with the food but it arrived half way through our starters and it wasn’t very chilled. Atmosphere was nice, cocktails were lovely. We won’t be rushing back though. Great food. Refurbishment is really nice. Staff are excellent. This was first visit after refurb and have to say it was excellent. Value for money menu and the staff extremely pleasant and helpful. The previous issue of noise seems to have been addressed, you can now hold a conversation without shouting. Obviously you still have the noise of a lot of people in one room talking but as someone partially deaf it is considerably better I could hear my friends in conversation. Would recommend Alberts to everyone. 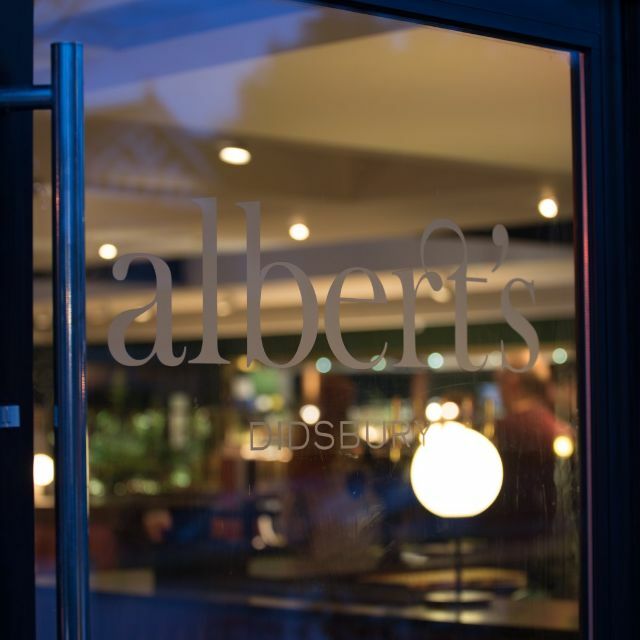 I'm a regular and really like Alberts but it can be hit and miss and it think that depends on how busy they are. This visit, the service was very very slow and when the main course did arrive I felt they had been cooked for a while and left standing. The fish and chips looks dry and my chicken was barely warm and very dry. Excellent service and the food was fantastic and value for money. The only issue was with parking, the car park was full and this was at lunchtime. As always food was delicious, I'm never disappointed with Albert's. Great food and very attentive service - we were on a tight schedule and they sorted out the food to accommodate us. One person had a starter and main and two had a main and dessert; they coped easily and proactively with this in the time given. Restaurant renovation is lovely and it does seem a little less noisy than before. Service is just so slow. 30 minutes to get drinks which were ordered on sitting down. Slow to ask for refills. Bill took an age, card machine took forever. In all 2 hrs 20 for 2 courses.